It’s been a while but when I was asked my notes were seriously out of date .Should you with to enable this feature then do the following. 1. On the machine in question, Start > run > regedit. 3. 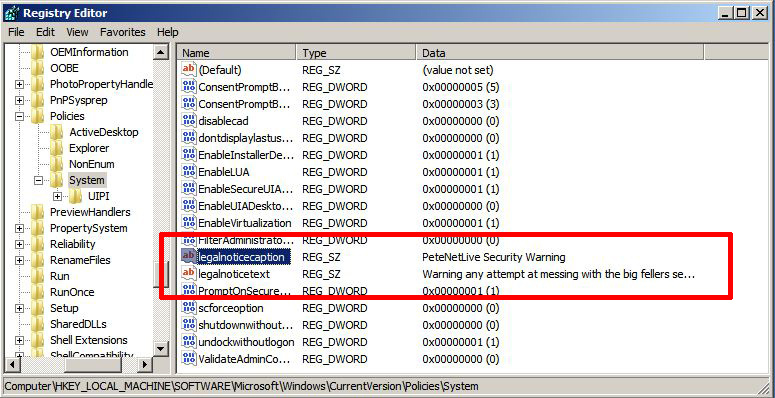 Modify the strings called called legalnoticecaption and legalnoticetext. 1. 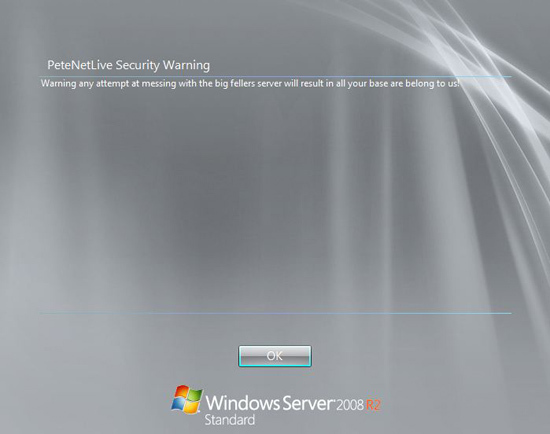 On the machine in question, Start > run > gpedit.msc (Note not available on Windows 7 Home/Home Premium). 2. 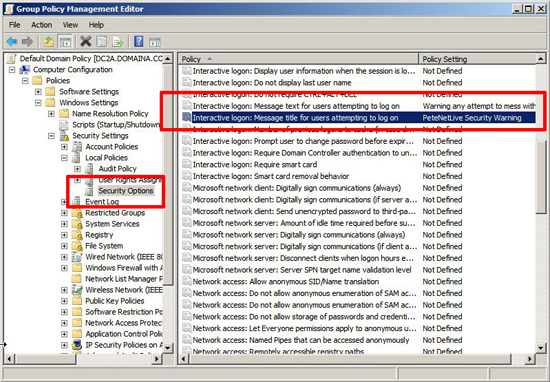 Navigate to Local Computer Policy > Computer Configuration > Windows Settings > Security Settings > Local Policies > Security Options. 3. 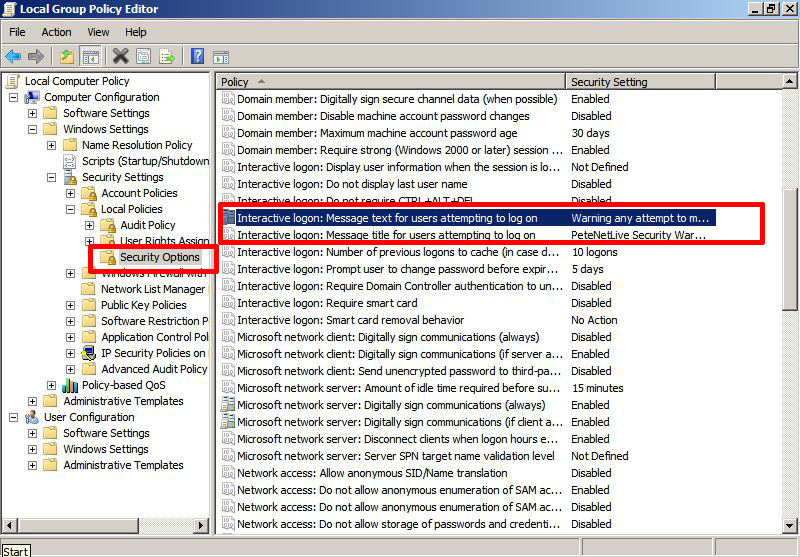 In the right hand pane locate “Interactive logon: Message title for users attempting to log on ” and ” Interactive logon: Message text for users attempting to log on “. Edit as necessary. 1. 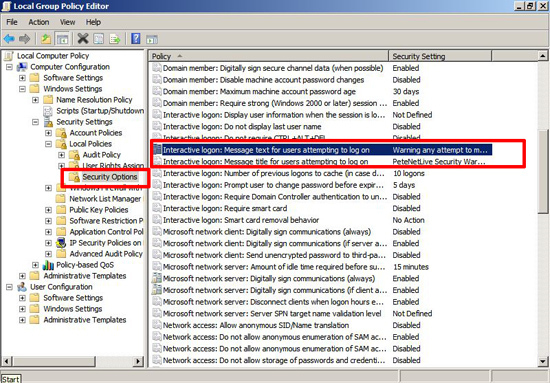 On a domain controller, Start > administrative tools > Group Policy Editor > Either edit an existing policy or create a new one (Remember its a computer policy you need to link it to something with computers in it, if you link it to a users OU nothing will happen). 2. 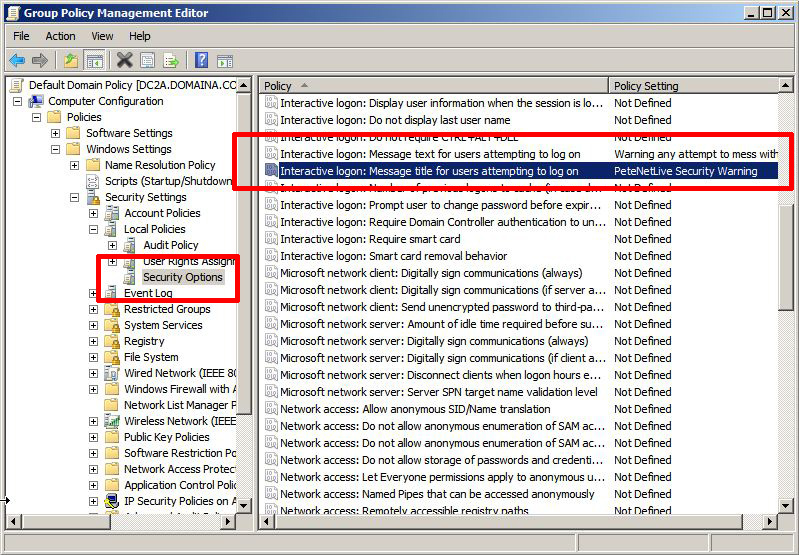 Navigate to, Local Computer Policy > Computer Configuration > Policies > Windows Settings > Security Settings > Local Policies > Security Options..
4. 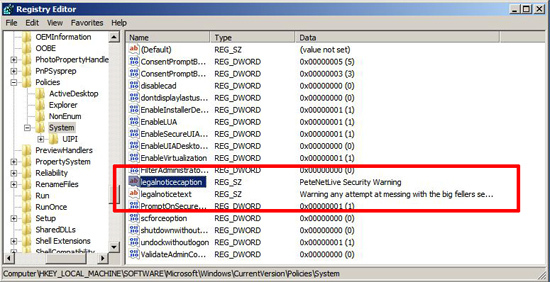 Either reboot the computers or run “gpupdate/force” to apply the policy.